and drops you right at the start area. 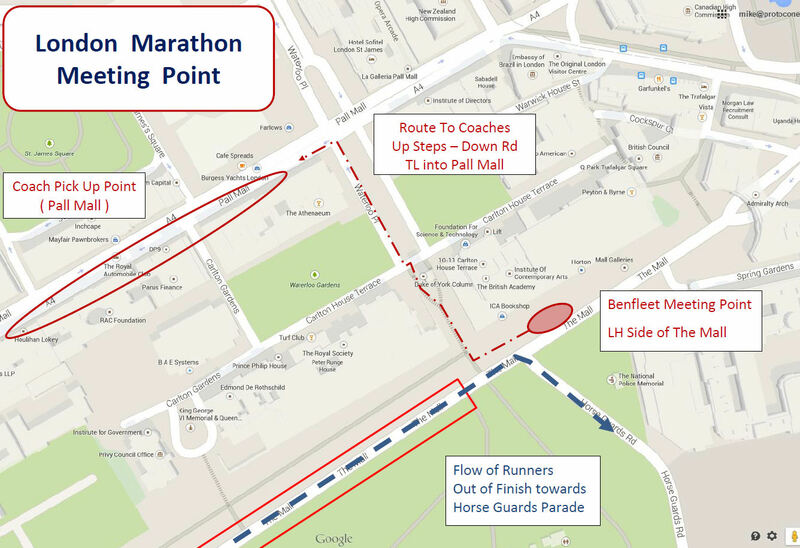 It will then wait for you near the finish to take you back to the station car park after your race. This is ideal for runners, and spectators alike. A list will be posted up on club nights in time for the next London Marathon. Below is a map of a regular meeting/collection points.